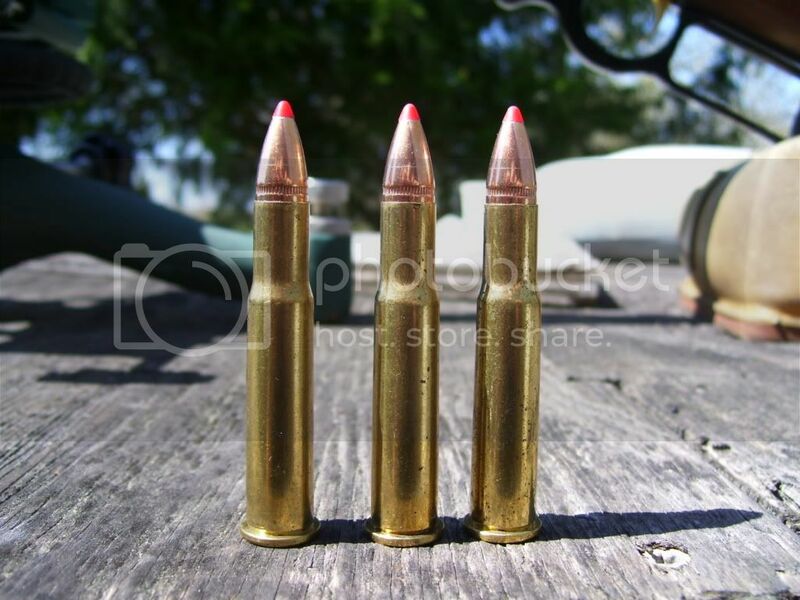 I bought a box of the 160 grain Hornady FTX bullets for the 30-30. Found that the sharp spire point allows you to seat the bullets out to the lands without any function problems. Most 150 and 170 grain roundnose and flat nose bullets designed for the 30-30, can not get anywhere near the lands. 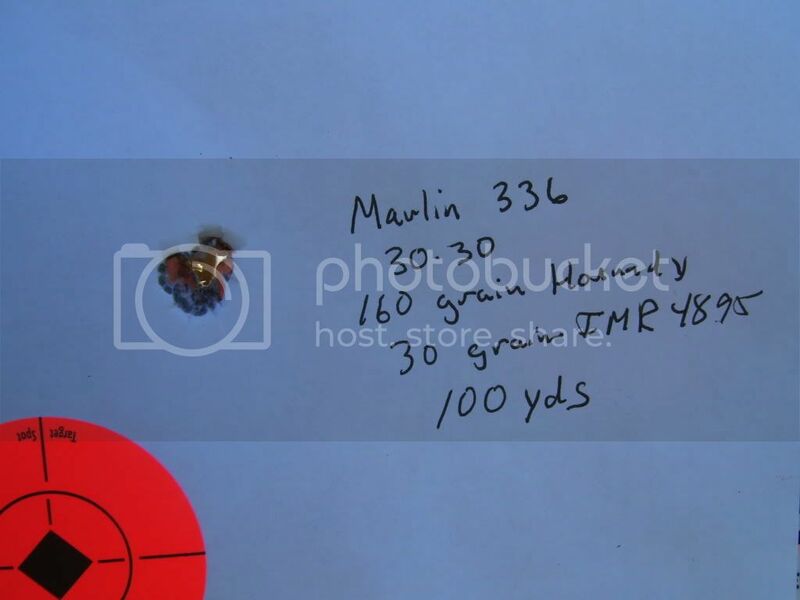 I had just given the rifle a very good cleaning, loaded up three rounds with 30 grains IMR 4895, used a Lee factory crimp die since the canalure was a little forward of the case neck, crimped them firmly. First shot was high and the second two where about an inch a part but 3 inches lower than the first. Loaded up three more rounds, screwed the seating die out 1/4 turn, function was fine, but was getting a slight contact with the lands. Next three went in the group pictured below. Shots were fired about five minutes apart. Scope is an older Leupold Vari X-III 2.5-8. Will test this in my 336 . Förr satte man ut folk som ingen ville ha till vargarna ute i skogen. Nu sätter man ut vargar som ingen vill ha till folk ute i skogen. which kind of velocity did you get from the 30 grain IMR4895?is it possible to push it to the swedish class 1 limite? 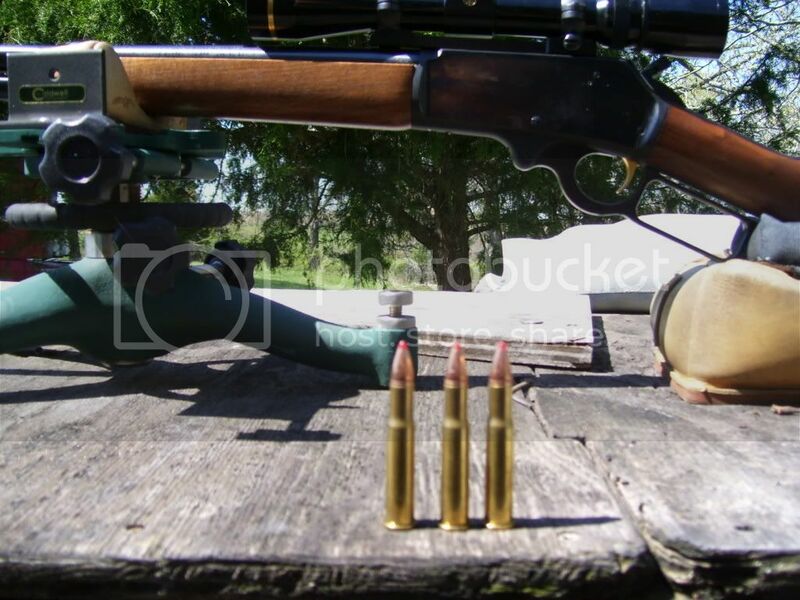 i don't have my 3030 now, but my son have a winchester 94 with 24 inches barrel! !3030 is a real lovely round to play with. i have fired thousends of 3030rounds mostly loaded with cast bullets in my 3030 rifles. Not sure, as I did not chrono it, Will be doing some more work with it, as I bought another rifle, and a 30-30 AI reamer. I will be doing a side by side comparison, with chrono results.